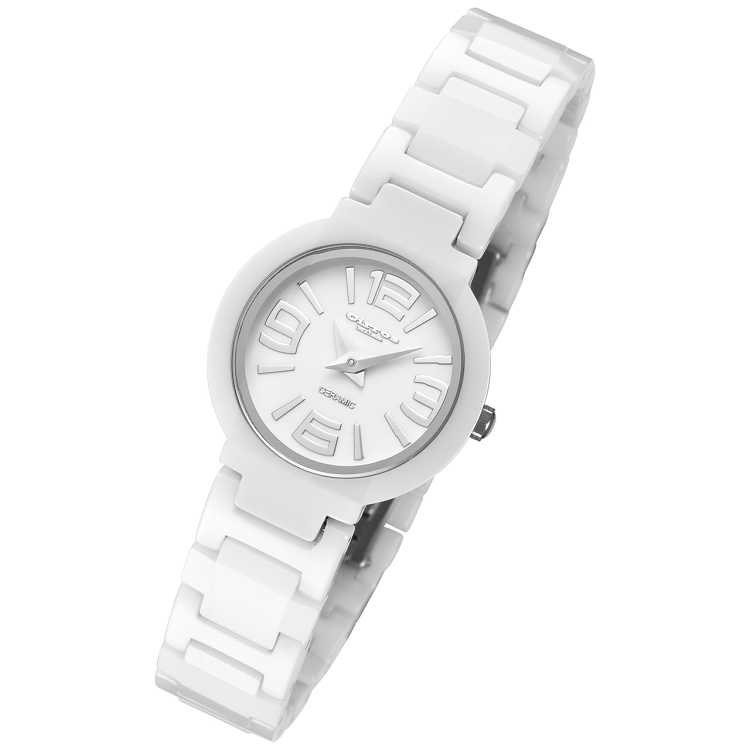 This beautiful, light-weight Cirros Milan white hi-tech ceramic ladies watch features large, easy to read silver numbers and hour markers. The quality Japanese movement ensures accurate timing. This watch comes in one size, made to fit a wrist with a circumference of 203 mm / 7.99 in, but it can be resized to any wrist. It is water resistant to 3 ATM / 30 Meters / 99 feet, is equipped with sapphire crystal, and is backed by a 1 year international warranty.